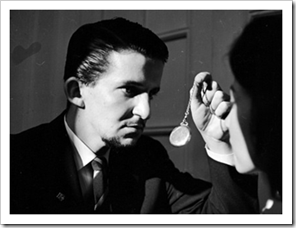 If you have ever seen a hypnosis show, you already know how this works, but if you have not, this should be very interesting for you. Either way, after watching a hypnosis performance recently, I think there are important lessons we can all learn from it. On Ronit’s birthday, we went to a local comedy club. There is nothing happier than laughter and good comedy can really brighten up a birthday night, so there we were. The first act was a very good, but normal, stand up routine. We ate, we laughed and we had a good time. The second act was called a “Comedy Hypnosis Show”. 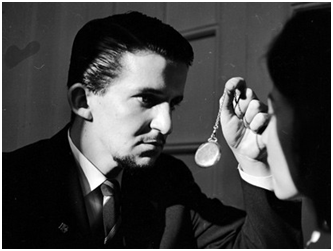 It started during the break with a multimedia presentation showing swinging watches, spinning spirals and other “street” symbols of hypnosis, along with boasting words about the performer himself and his abilities to deal with the subconscious mind. 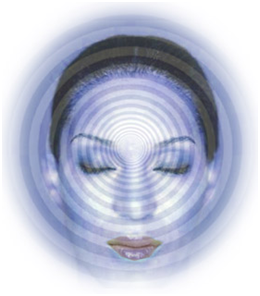 “This is going to be cheesy”, I thought, “Maybe the hypnosis is just a gimmick”. But I was partly wrong. It was only cheesy. The hypnosis was real. And impressive. The hypnotist brought about 15 people up on stage and within 8 minutes (he told us later that is how long it takes), he had 8 of them doing things nobody would ever do unless they were under some other strong influence. They crowed, they sang in Japanese gibberish, they acted like 3-year-old girls, they searched the room up and down for their lost puppy and even for their lost belly button and they submitted themselves to every one of his “suggestions”. Many bits were quite embarrassing, really, but I was absolutely amazed when, coming back from a break, he asked if anyone else wanted to join the people on stage (and do more stupid, embarrassing stuff) and people jumped up and down wanting to be picked. In fact, to choose who would come up on stage and join “the stars of tonight’s show”, he told everybody in the audience to put their hands together with fingers interlocking and raise them above our heads. He then said he was pouring special glue onto our fingers and that the glue was very quick to set. Then, he asked use to try to separate our hands and if we could not do it, to hop on stage. Some people could not separate their hands and looked somewhat frightened, including all of those who were already on stage from the first half. They could only separate their hands when he held them, wiggled them and clicked his tongue. The woman had a feeling she knew how to count and counted confidently, but evidently got it wrong both times. The audience roared with laughter, but I sometimes feel like this. Everything I do is correct to the best of my knowledge, but the results are not good, sometimes even bad. I double-check myself and I am sure I have done everything well. Go figure! During the show, the people on stage sometimes slumped in their seats with their eyes closed, but sometimes, they opened their eyes and looked alert and responsive. 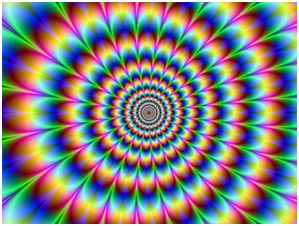 Before the break, the hypnotist told them to open their eyes, go back to their tables and act normal until they heard the music from Mission Impossible. He then told one person, who smoked, that every time he inhaled from his cigarette, he would crow like a rooster and another person, who liked to drink, that every time he took a sip from his glass, he would roar like a lion. The “lion” sat 3 seats away from me. He sat down, answered some questions from his friends about being hypnotized and then took a sip from his glass … and roared. He looked very surprised and embarrassed by this and did not drink any more of his wine during that break. When the show resumed, the hypnotist asked the smoker about his break. The man looked confused and said it had been strange. “Is your throat sore?” asked the performer. “Yes”, said the man, looking even more puzzled. It was a very uncomfortable event, but very educational. You see, all the hypnotist had to do was gain trust. Once the “stars” believed that they were safe, that they would enjoy themselves and that he knew what he was doing, they completely relinquished control of themselves to him. They stopped questioning anything he told them to do and followed his instructions to the letter. Kids are in this situation. And guess who they trust without question. It is very hard to live consciously. If we had to make mindful decisions about every word that comes out of our mouths and every move we make, we could not function. Imagine having to debate each piece of clothing you wear, including the ones you wore yesterday, instead of feeling like wearing blue today and going with it. Imagine having to think about how to move every muscle in our legs in order to walk. We would get nothing done and go nuts in the process. So we let our subconscious take over. We practice for a while and then we trust our ability to perform smoothly and hand control over to the subconscious mind. That way, most of what we do every day is “like riding a bike”. But even when walking and eating are fully automated, we still need to decide how to keep ourselves healthy, whether to support a national health scheme, what God would say about pork, what our company needs, what happens in the world and what to do with our money. These are often such tough decisions, often because we lack the guidance and practice to make them, that it is easiest to just find “someone who knows” and trust them. In short, we hypnotize ourselves. We put our faith in those authoritative figures and listen to their “suggestions”. Take a deeeep breath. Very goooood. Now take another deeeeep breath. Feel that fresh, clean air filling your lungs. Excellent. Now, take your time and relive the events from the past day as they happened to you. You are perfectly safe. This is just in your mind. How many authorities did you meet? How many suggestions did they give you? How many did you follow? If you stop to think about them, how many should you have followed without questioning? Life is complicated for us, but does the doctor really know how to keep us healthy? Can the president tell what is best for everyone? Does God talk to our spiritual leader? Will this CEO not bail out with a hefty package and leave us behind? Is TV news a balanced view of events? Can investment bankers really tell the future? Not necessarily. They may know more than we do about their area of expertise, but that does not mean we should trust them so completely that we never wonder about their suggestions. We should certainly listen to them, but always be in charge of the results we get. And kids, of course, are in an even worse position. They think they know nothing about nothing, so they put their complete googly-eyed trust in us and hang on our every word for dear life. Teenagers get so easily upset simply because they develop their ability to ask questions and they stop believing their parents are perfect. And that is really scary for them. It is much easier to go through life half-asleep believing Mom and Dad will take good care of me than having to be alert all the time to handle whatever comes on my own. 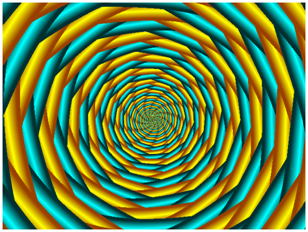 Hypnosis is an extreme situation, of course, but it certainly made me wonder. It also made me realize (again) how important everything I say and do around my kids is and how important it is to teach them independent thinking.